Thoughts for today …. #83!! The message for this holiday season is clearly stated above. We should live in a world where we coexist peacefully in spite of the many differences separating us. In spite of these differences we are alike and we are the same. Whichever beliefs you hold dear to your heart, whatever symbol signifies your personal connection to “Source” …. we respect. 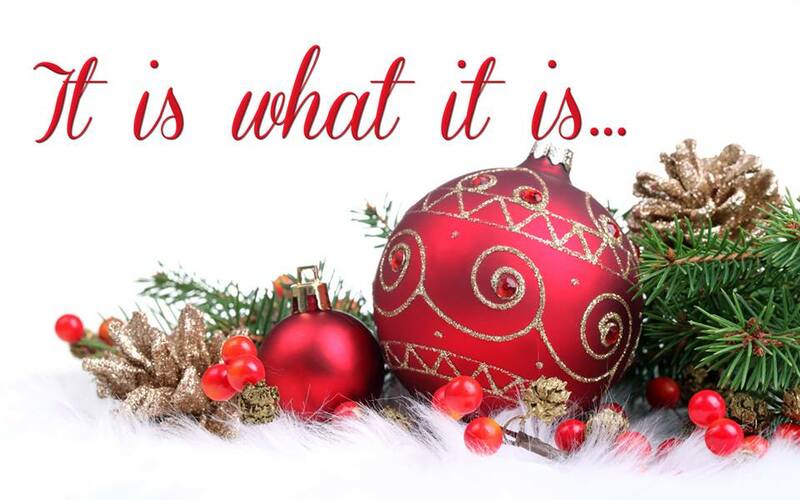 “It Is What It Is” wishes blessings to one and all this Holiday Season!